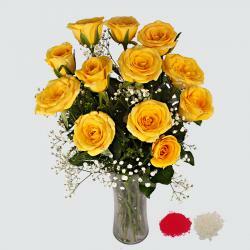 Product Consists : Basket arrangement of 12 Yellow Roses along with Free Roli Chawal. Yellow colour is associated with happiness, love and joy. This is a surreal looking basket arrangement of Yellow Roses blossoms that include freshly and fragrant roses that create a pristine sight to marvel. 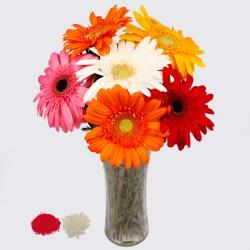 It is elegantly arranged in a Basket. 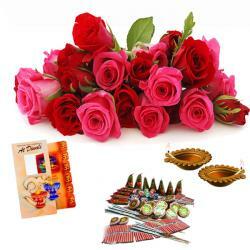 Roli Chawal of awesome quality is included with this stunning gift for auspiciousness. 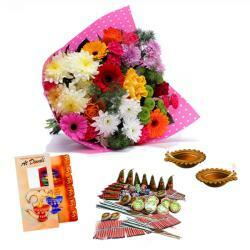 You can gift this outstanding gift to your beloved brother on Bhaidooj to make it a memorable affair. 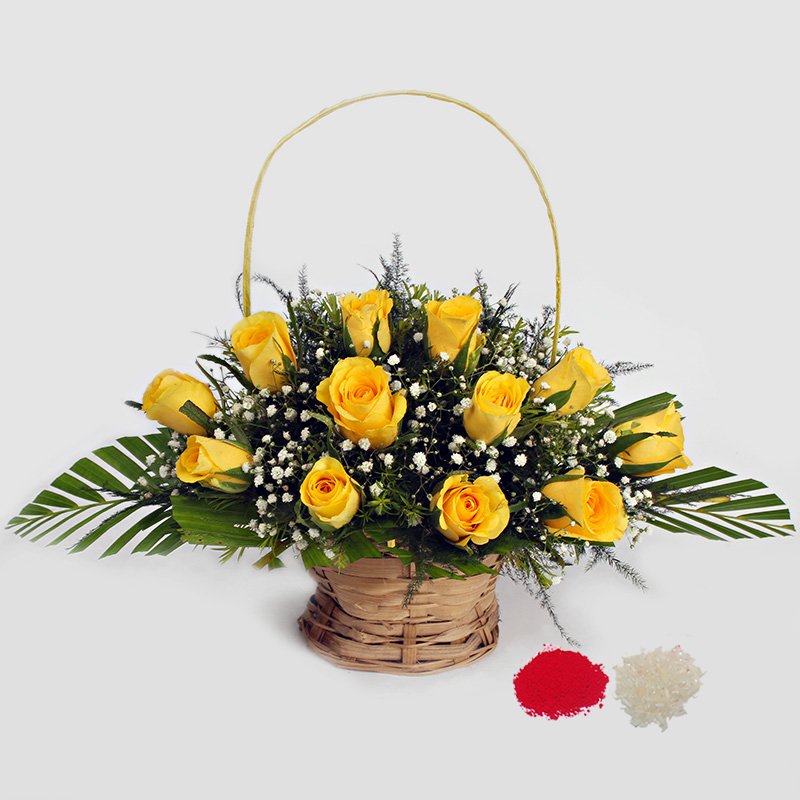 Product Consists : Basket arrangement of 12 Yellow Roses along with Free Roli Chawal.